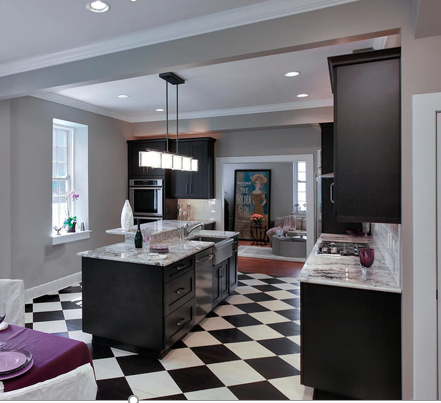 So while you are missing the warm sunshine take stock of ways to improve your home’s lighting. Is it to highlight artwork? Create a mood? Make certain tasks possible, such as preparing food or reading? Maybe to light your breakfast bar or your dining table? Today, let’s establish guidelines for ceiling lights in your home. Circa Lighting’s tip sheet recommends the following guidelines when installing your CEILING light fixtures. 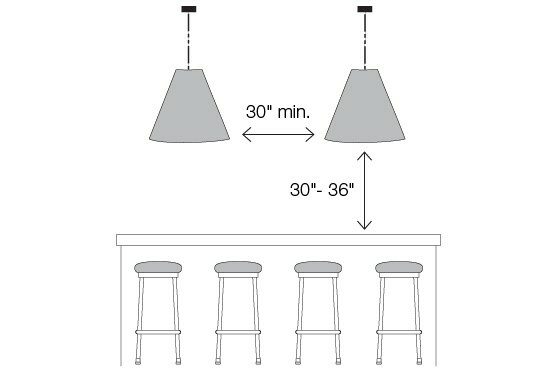 Install your pendants 30-36” from the surface of your island. When there are multiple fixtures, the widest part of the fixtures should be spaced a minimum of 30” apart for optimal airflow, light spread, and visibility. 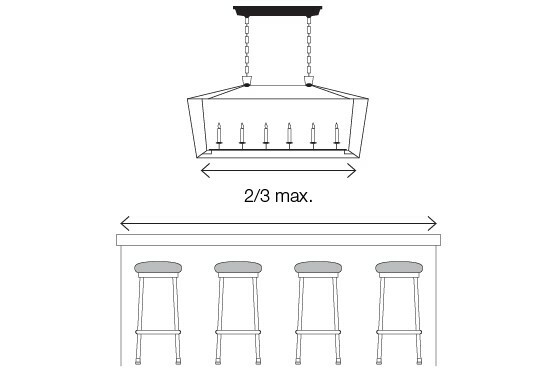 With a linear fixture: Ensure that it is no more than 2/3 the length of the table or island. 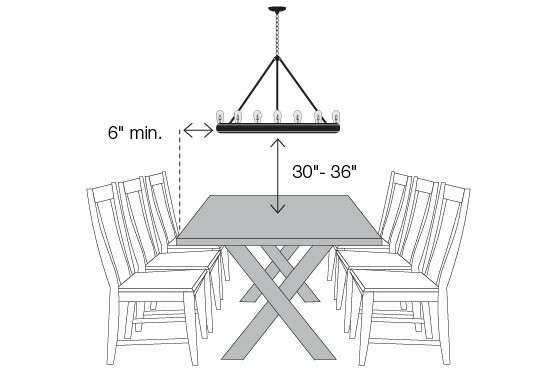 Leave approximately 30-36” between the bottom of your fixture and the surface of your RECTANGULAR dining table. 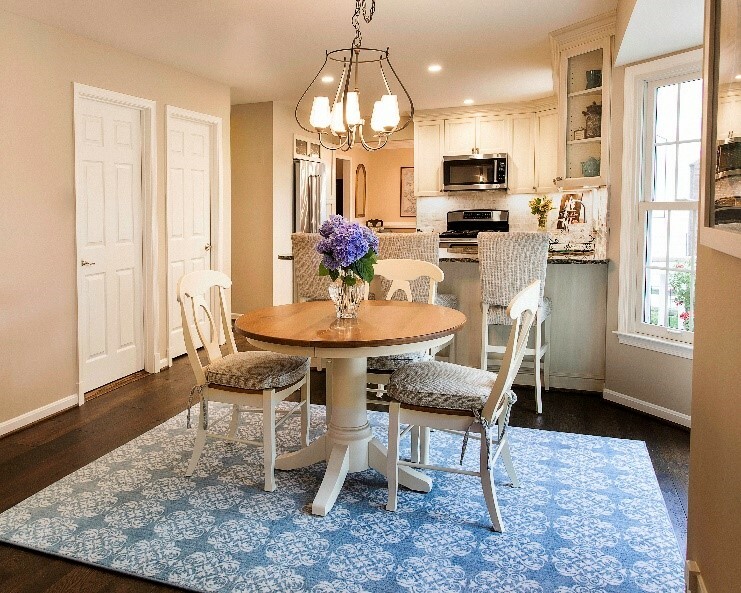 The fixture’s width should be at least 6” narrower than the width of your table. 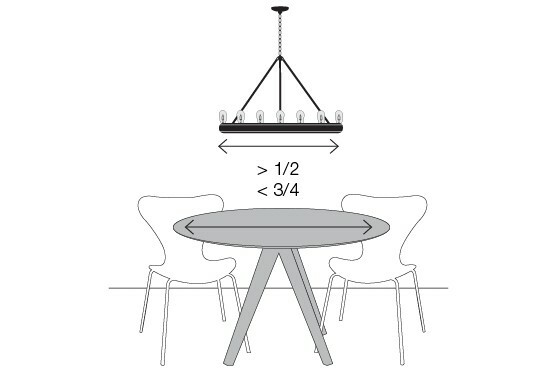 Over a ROUND table your fixture should have a width measuring between 1/2 and 3/4 of its diameter and its height 30-36” above the surface. 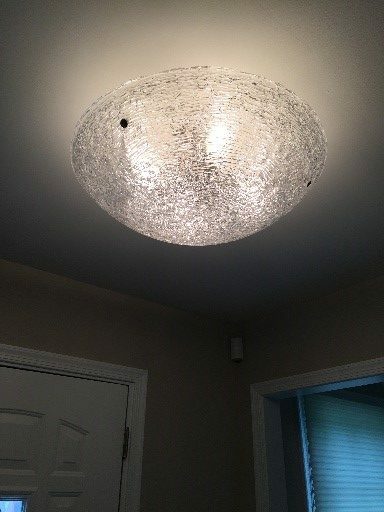 In an ENTRY/FOYER OR HALLWAY, your light fixtures should clear the thresholds of any adjacent doors and the heads of all family members and possible guests. 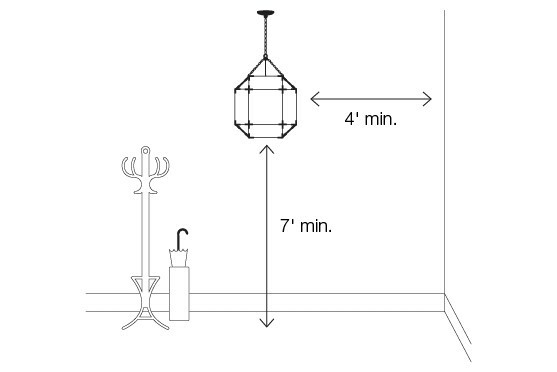 Allow a 7’ minimum from the floor to the bottom of the fixture and 4’ from the widest part of the fixture to any surrounding wall. 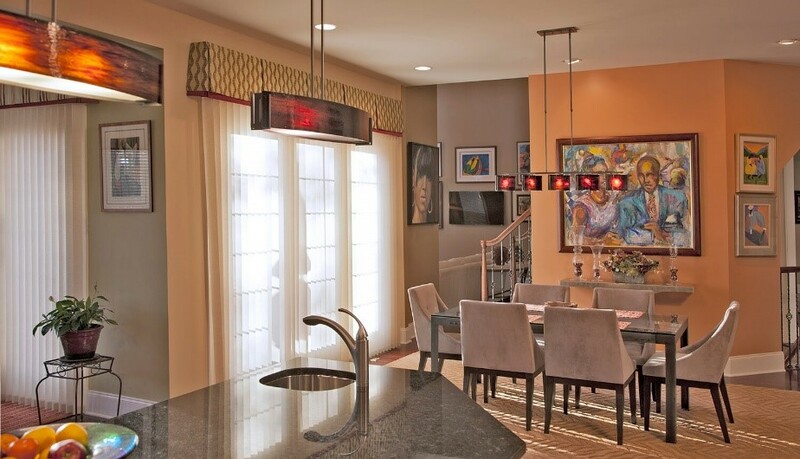 Sometimes a flush mounted or semi-flush mount as in this fixture works well for 8’ ceilings. 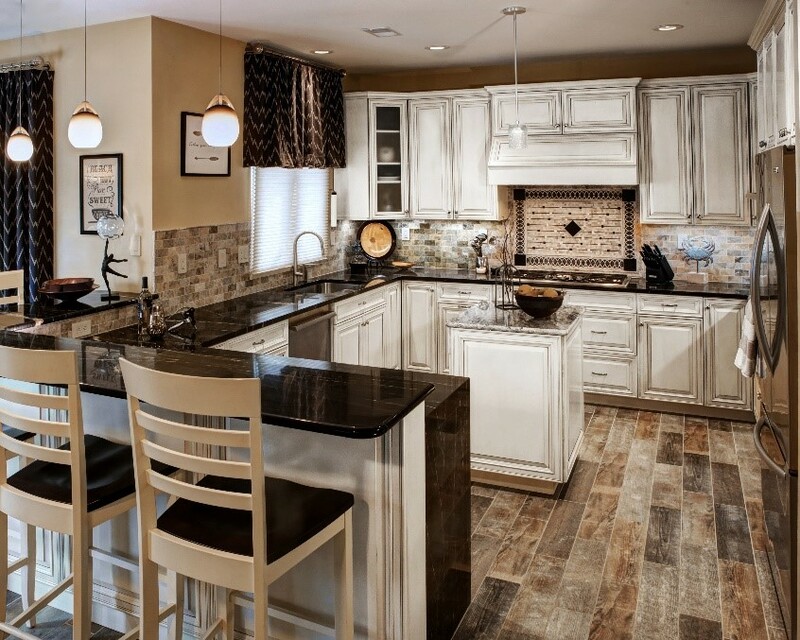 Ready to bring more light into your home? Welcome to Daylight Saving Time! Looking for a Unique Holiday Gift ?